Pet Motels and Pet Resorts, Dog and Cat Boarding, Dog Kennels, Catteries, and Pet Sitting Services in the Northern Rivers NSW, and Gold Coast Hinterland QLD region. On leash and off leash dog exercise areas Byron Bay, Tweed Shire, Gold Coast. Pet Motels and Pet Resorts, Dog and Cat Boarding, Dog Boarding Kennels, Catteries, and Pet Sitting Services. Pet Motels and Pet Resorts, dog boarding and cat boarding, dog boarding kennels, catteries, and pet sitting services in the Northern Rivers NSW, and Gold Coast Hinterland QLD region. Please note, kennels and catteries may require a current vaccination certificate. Check with the operator prior to booking. There's also information about on leash and off leash dog exercise areas on the Gold Coast, in Byron Shire and Tweed shire. If you're visiting our region with your four pawed friends, please clean up droppings, respect local regulations, and keep your dog on leash where required, especially on beaches and in dune areas where migrating shore birds maybe nesting. In rural areas, please don't allow your dog to disturb livestock or chase wildlife. Dog exercise areas are provided by Council for dog owners. These areas are not for the exclusive use of dogs and their owners. They are for the enjoyment of all, so please be considerate of people who may be sharing the area with you and your dog or using the park after you leave. There's also a Gold Coast Dog Parks app available on iTunes and Google Play. See Byron Shire Council - Animal exercise areas,page with link to PDF describing off leash and on leash areas, with aerial maps and legends. Tallow Beach - Byron Bay: From a point adjacent to Jarman Street, Suffolk Park, extending in a northerly direction to the boundary of the Arakwal National Park. Main Beach - Belongil Area: From a point adjacent to Manfred Street, Belongil, extending in an easterly direction to a point on the western side of Main Beach car park and including Cavanbah Reserve. Brunswick Heads: Brunswick Heads access from a point 20 metres south of the Brunswick Heads Surf Club, extending in a southerly direction for 400 metres to the boundary of Tyagarah Nature Reserve. (Restrictions: Intertidal zone only. Access from adjacent to the Brunswick Heads Surf Club only). South Golden Beach: From a point adjacent to Gloria Street, South Golden Beach, extending in a northerly direction to the Billinudgel Nature Reserve. (Restrictions: Intertidal zone only. Access via Gloria Street). Mullumbimby: Heritage Park, Mill Street, Mullumbimby. From opposite Gordon Street to opposite Stuart Street. (Restrictions): Companion animals are prohibited from the area in or within ten (10) metres of the children's play equipment. 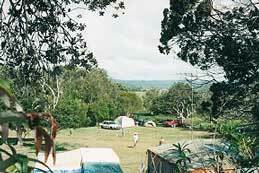 Bangalow: Part of the Community land at Ashton Street Bangalow. The area bounded by Deacon Street, Ashton Street and Byron Creek. (Restrictions): Companion animals are prohibited from the area in or within ten (10) metres of the children's play equipment. Please visit Byron Shire Council - COMPANION ANIMAL EXERCISE AREAS web page, which has a link to a PDF containing aerial maps and full description to off leash and on leash areas. Local vets are located at Billinudgel, Mullumbimby, Byron Industrial complex and Suffolk Park. Information courtesy of Tweed Shire Council - "Dogs" page, which has tips for dog owners, on-leash and leash free exercise areas, information about responsibilities and rules with your dog in a public place, and more. Please let the birds be able to nest and forage in peace! The closure of this area to dogs is to protect significant shorebird and beach nesting bird habitat and reduce disturbance. [Map (837kB JPG) is available for download from the TSC page for "Dogs"]. South Kingscliff Beach - from the boundary of Salt residential area north to the rockwall of Cudgen Creek. Boyds Family Park, off Piggabeen Road, Tweed Heads West. Frangela Drive Reserve, Frangela Drive, Murwillumbah. River Street Park, between numbers 73 and 89 River Street, Murwillumbah. South Cabarita Beach - 200m south of Norries Headland to a point one kilometre north of Cudgera Creek. South Pottsville Beach - 200m south of the main bathing area at Pottsville Beach to 200m north of Black Rocks. South Fingal Head / Kingscliff Beach - access from Murphys Road Kingscliff to a point 0.5km south of the beach access point at the Fingal Head Quarry. Corowa Park - Corner of Chinderah Road and Terrace Street, Chinderah. Turnock Park - Corner of Chinderah Road and Chinderah Bay Drive, Chinderah. The riverbank reserve at the end of Old Ferry Road, Oxley Cove. Bilambil Road Park on the corner of Naponyah Road and Bilambil Road, Terranora. Amaroo Park on the corner of Darlington Drive and Amaroo Drive, Banora Point. Hibiscus and Oyster Point Park at the bottom of Bushland Drive, Banora Point. Ducat Park - Ducat Street, Tweed Heads. Regulatory Services Unit, TSC, Tel. (02) 6670 2400. *Maybe subject to change. Please check for updates. Visit the web page for on-leash exercise areas.